When I left my house this morning to swing by the store to pick up some Sprite for my youngest son (who had thrown up last night), he was in his bed with his little puppy stuffed animal. 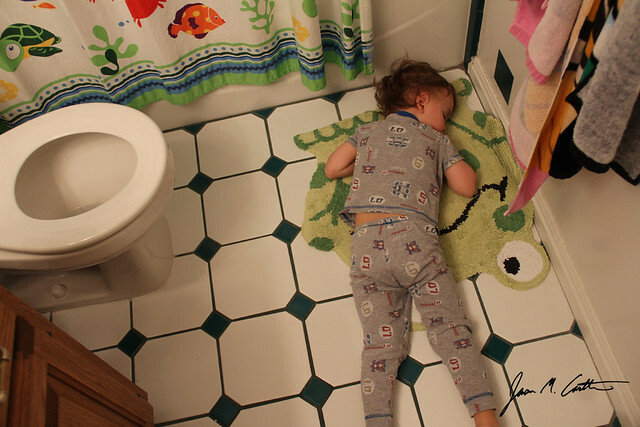 When I got home, no more than 15 minutes later, I found him asleep with the froggy floor mat on the bathroom floor. I couldn’t help but take a photo.